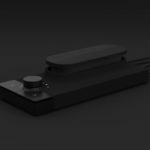 The new Native Instruments Komplete Kontrol M32 compact MIDI controller fuses sleek and solid design with intuitive control. The Native Instruments Komplete Kontrol series is well-renowned for the intuitive control it offers the user, from direct preset browsing and advanced parameter control and feedback, the controllers offer a very high level of hands-on playability. 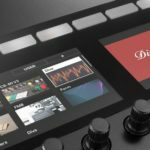 The new Native Instruments Komplete Kontrol M32 introduces most of these intuitive features into their smallest MIDI controller keyboard to date. Like with the rest of the Komplete Kontrol range, the Komplete Kontrol M32 comes with all of the controls pre-mapped and ready-to-go for all NKS-ready plugins, and creating your own custom mappings is a breeze using the NKS application. You have the ability to trigger chords and arpeggios using advanced settings directly on the controller, alongside the transport controls and nifty screen, you’re able to truly step away from the computer and just play. The Komplete Kontrol M32 comes with more than 6100 sounds and 10 GB of content, ample to get you started right out-the-box. 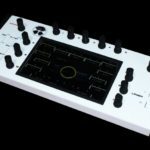 You also receive several software synth packages when you register your product online, from Ableton Live Lite 10 and Maschine Essentials to Komplete Start, even a USD $25 e-voucher to buy more sounds. The new Komplete Kontrol M32 is a great option for music production beginners looking for an all-in-one controller package, it’s also a fantastic traveller for touring musicians who may already own the bigger A-series, looking for a compact controller with the same level of intuitive control. 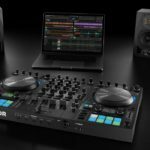 The Komplete Kontrol M32 is set to retail at USD $129 (Around R1800 excl. duties), going up against Akai’s LPK Mini and Novation’s Launchpad Mini, offering an extra octave and the convenience of the Native Instruments NKS browsing and control system. 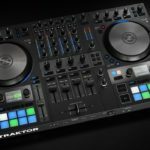 Native Instruments will start shipping the new Komplete Kontrol M32 from 6 March 2019. For more information check out the Native Instrument website.